Chip and Jo Gaines have done it again. Yesterday marked the launch of their new line Hearth & Hand with Magnolia at Target. It is great! I love any pieces that translate to easy entertaining, and they’ve provided. They have neutral black and white dishes with pops of green, white kitchen towels, throws, and napkins with black or grey accents, and even a cute door mat. I love the galvenized metal touches throughout the collection, and for those that don’t like silver, they’ve included gold. Everything is mix and match. Yes, there are a couple of things that left me scratching my head (a goat cookie cutter… like, whyyyy?) but for the most part, anything you scoop up is going to be great, especially for all of the holiday entertaining you’re going to do! And why not pick up some gifts for the Fixer Upper fans in your life? I love this natural fiber rug with a neutral pattern because it can last past the holidays. This wreath was the first item I saw, and I knew I’d love the whole collection. I love how it is understated but pretty. Who doesn’t love a simple white plate? The shape keeps this contemporary. I normally don’t love smoked glass, but these vases work. I can just see them as centerpieces for a dinner party. Give me all of the serving pieces. I love these neutral striped napkins. They’d be awesome for Thanksgiving, Christmas, or any time of year. Go- to gift alert. This acacia cutting board with a leather handle screams special. Best part? It’s only $14.99! You can check out more of the collection on Target.com and in stores now! I’ve been pulling images and creating some inspo collages for my office, which I want to turn into a reading/ relaxation room. Since I’m still working on my thesis, I’ve been thinking about keeping a desk in there, but a much smaller desk than the original dark wood monster that was in there before. I love the look of this room from Pinterest. I pulled the photo above from Pinterest and was surprised that I loved it so much because it is not as pared down as the rest of my house. 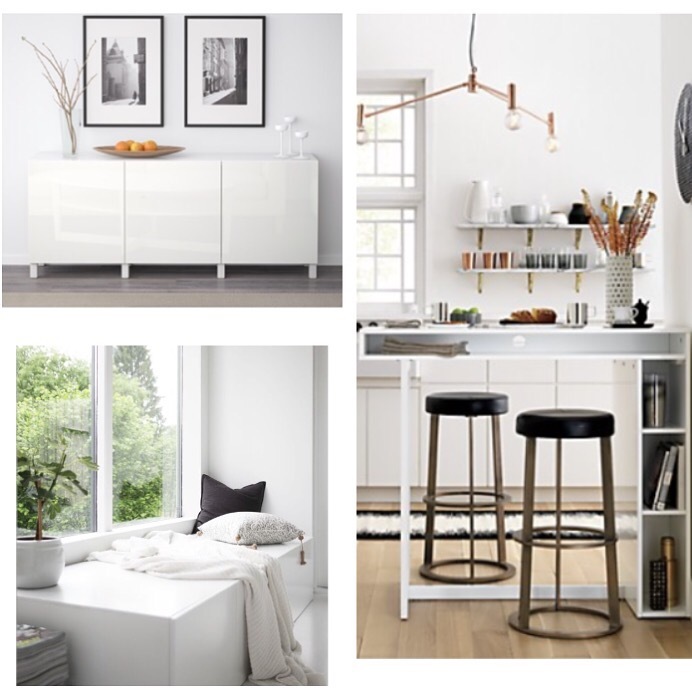 I like that the white keeps it bright and the sideboard at the bottom provides storage. I liked the sideboard at the top if I decide to go with the look above. I also like the idea of a storage space that can double as a seating area under a window, since I have a big window with a good view. I would probably have a linen cushion made to put on top to make it more cozy and inviting. I like the idea of this “bar table” as a standing desk, and I especially like that the cubbies provide a place to keep my computer and office supplies. 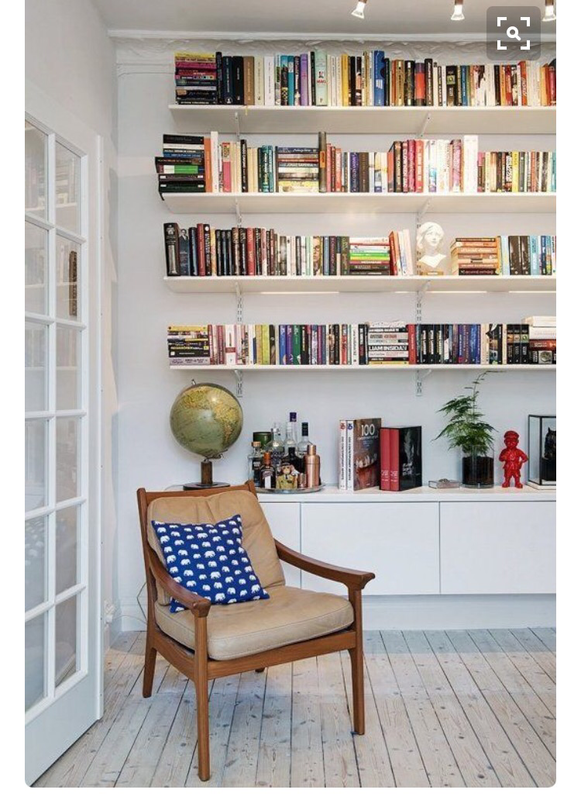 Since it is a “read and relax” room, I definitely want some bookshelves. I have a ton of books! I know the wood shelves are the opposite of white, but I’m in the early stages of inspiration here! 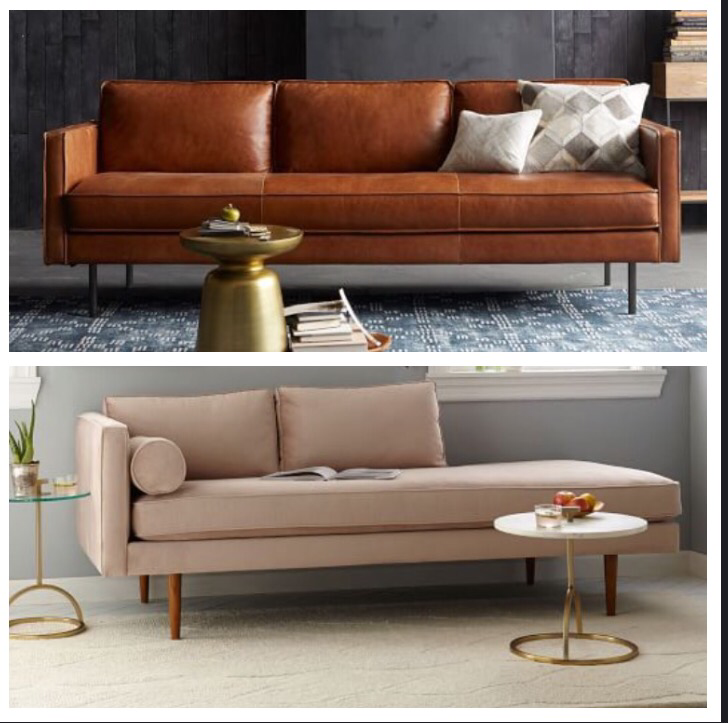 I saw these at Room and Board recently and they look great in person. 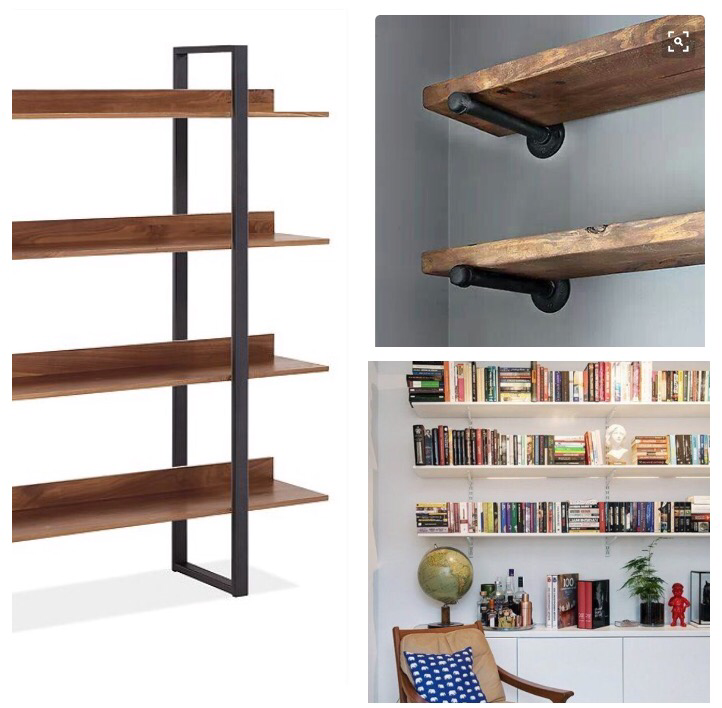 Plus, there is no wall mounting necessary! Finally, I like the idea of having a couch or chaise in the room to lounge on while reading and relaxing. I pulled these options from West Elm.